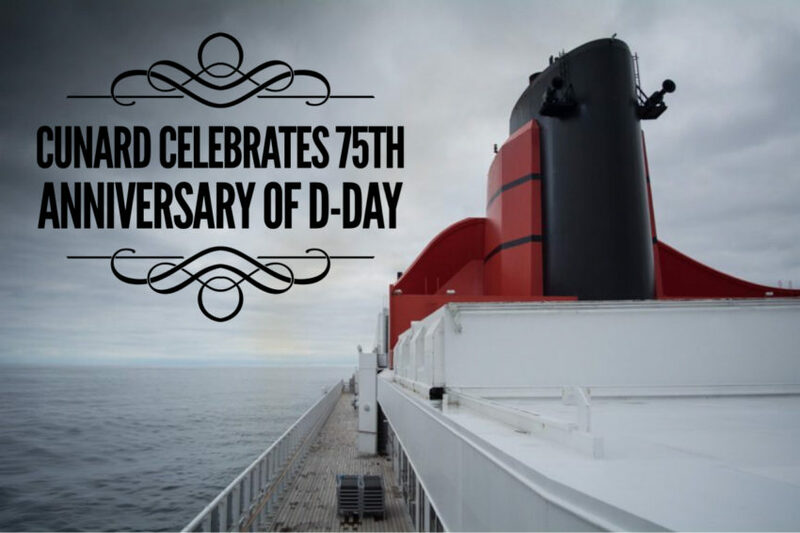 To commemorate the 75th anniversary of D-Day and the Battle of Normandy, Cunard is partnering again with The Greatest Generations Foundation to pay tribute to six heroes of World War II onboard flagship Queen Mary 2. Thematic onboard programming will allow guests to hear first-hand accounts from WWII veterans as they share their experiences of battle during the Transatlantic Crossing. This Crossing will transport six D-Day Normandy veterans to Europe, where they will participate in activities to celebrate the occasion. On the seven-night Crossing, departing New York on May 24, 2019 (M914), guests will have the opportunity to attend lectures, Q&As, and interact with several WWII veterans. WWII veterans scheduled to be on board include two D-Day and Normandy survivors: Frank Devita, was only 18 when he landed on the Normandy beach code-named Omaha to begin the amphibious assault 75 years ago; and Steven Melnikoff, 99, who stormed the beaches at Normandy with the 29th Infantry Division and earned three Bronze Stars and two Purple Hearts during World War II. Other veterans include: Samuel Lindsay Pope, who served on with the 29th Infantry Division, 116th Infantry Regiment on Omaha Beach, Joseph Reilly, parachuted into Normandy with the 101st Airborne Division, 501st Parachute Infantry Regiment in the early hours of June 06, 1944; Robert Goldstein, served with the United States Navy during Operation Neptune and the Battle of the Atlantic; Gregory J. Melikian, As a 20yr. old Sergeant working in SHAEF headquarters of Supreme Commander General Dwight D. Eisenhower in 1944 and 1945, he not only witnessed the surrender of the high German Authorities in Reims, France on May 7, 1945, but was the radio operator that broadcasted the message to all military forces in Europe and the capital cities throughout the world, announcing the German surrender in Europe.